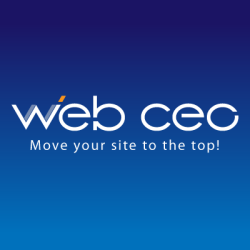 Want to see all the technologies used by webceo.com? Web CEO is one of the top 5 developers of desktop and online SEO software for website optimization (according to a variety of independent reviewers of SEO tools). Competitors in the desktop SEO software industry include SEO Elite and Link Assistant as seen via a Google search for "SEO Software". Competitors in the cloud-based (online) SEO software industry include Moz, Raven, Brightedge, Hubspot, Conductor and Covario. The company has been in the software developing and telecommunication business since 1992. Web CEO as a separate project (SEO, site management and traffic analysis software) started in 2000. In the fall of 2011, the company began offering an online SEO tool-set as a white label solution for hosting companies, CMS companies, enterprise marketing software companies and large SEO and web development agencies. Web CEO Ltd is a privately held, financially secure & self-funded company. For a quick look at additional technographic info on webceo.com or any domain on the web, download our Chrome Extension. Check out our help article to see how Datanyze Insider can help you.